What does “Jesus Christ” mean? 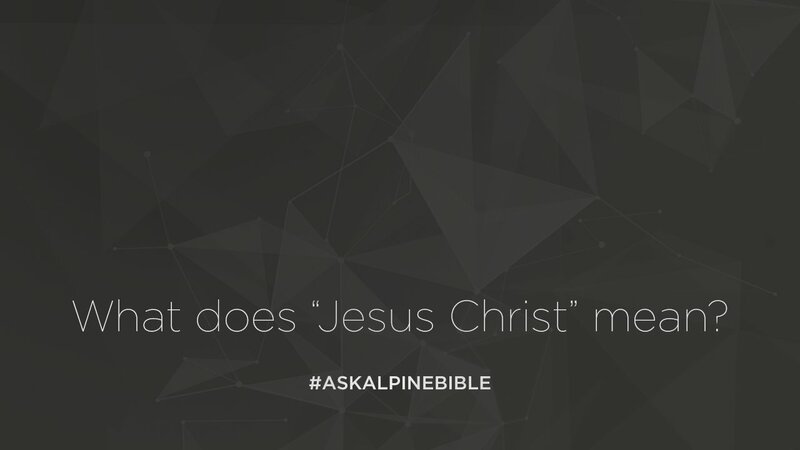 What does the name “Jesus Christ” mean? Well, Mary didn’t just wake up and decide to name Jesus, “Jesus Christ.” The name by which we call him is actually a title that points to his identity and for the purpose in when he came. The name Jesus is in the Old Testament. It comes from the phrase Yashua, which means, “the Lord saves.” It’s pointing to the Salvation. Jesus is salvation and the name for Christ, or Christos in the Greek, means, “the anointed one.” In the Old Testament it would have been referred to as the Messiak, the anointed one, the Messiah. The title put together means, “Jesus Christ”, the “saving anointed one”. Or noting in the Old Testament that the kings were anointed, “Jesus Christ the Saving King.” He came as king to rule and reign. To present his kingdom, but to also save people. Who Jesus is after is you and me. We are to pursue him in relationship and to enjoy Him and His Kingdom forever. His name is a title that identifies the purpose for which he came in the flesh and every time you pronounce the name “Jesus Christ,” you’re declaring the reason for which Christ came. Jesus is the “Saving King” who came for you to enjoy His Kingdom forever, if by faith you would trust in him.